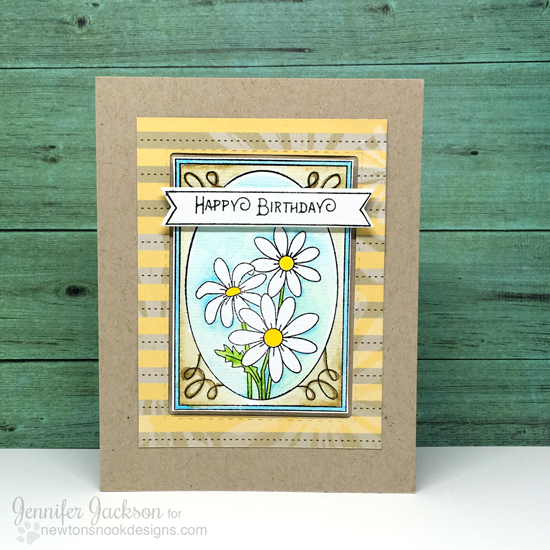 Today I'm sharing a couple of cards I created with our retiring Garden Starter and Flower Garden stamp sets! Both these sets are retiring and are on sale now so if you like them you should grab them while you can! Once we sell out they are gone for good! The first card I created is a sympathy card using the pansies from the Flower Garden stamp set. I colored them with watercolor markers and used the coordinating Garden Window die (retired and sold out) to cut out the oval and stitched frame from patterned papers. I created a custom sentiment by using the "thinking of you" from the Vegetable Garden stamp set (also retiring) combined with the words "with sympathy" from the Simply Sentimental. The purple twine and doily give this card a soft finishing touch! 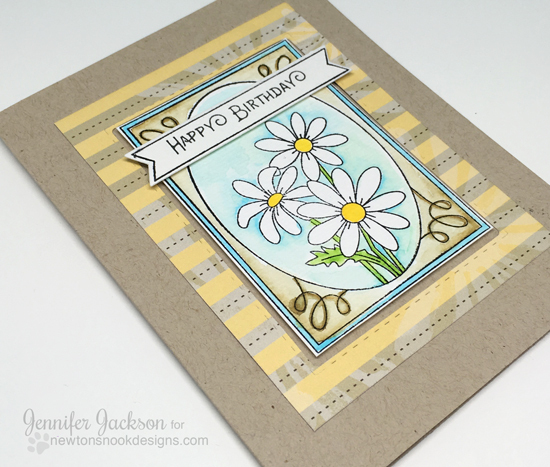 My second card today uses the daisies and frame from the Garden Starter stamp set. I stamped the image of the daisies directly inside the frame and colored them both using watercolor markers. I stamped the "Happy Birthday" sentiment, also from the Garden Starter stamp set to layer over the image. Again, I used the coordinating Garden Window die (retired and sold out) to cut out the banner and stitched frame from patterned papers. These are gorgeous cards. I have these stamps and dies, I just need time to make cards.